The Album Leaf, Rudy Adrian, Ike Yoshihiro, Muchale Stearns, Sinerider & more. The new mix is his latest in the Calm Pills mix series. It’s titled Ascension, and it’s inspired by The Endless, a 2018 supernatural indie film that made an impression on me. The mix uses several tracks from the score and sprinkles key passages from the dialog throughout. My intention was to recreate the surreal feeling I had watching the film through a music. Fun fact: the mix runs for the exact same duration as the film. 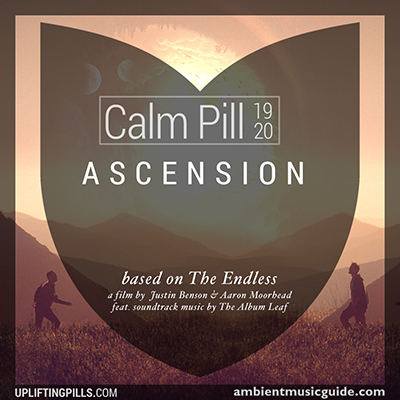 The Calm Pills series is "beatless ambient and atmospheric journeys designed for complete relaxation of mind and body. Perfect for any occasion when you need soothing unobtrusive music." More at the Uplifting Pills website.